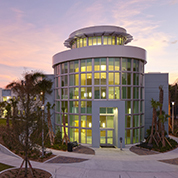 Collection Management plans the purchase of materials in all formats within the limits of the university's fiscal resources to meet the instructional, scholarly, and research needs of Florida Atlantic University students, faculty, and staff. The department collaborates with faculty to utilize allocated funds in a manner consistent with departmental and programmatic priorities and the Libraries' collection development policies. 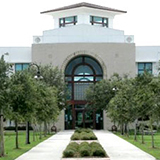 Once materials are ordered, acquired, and processed the Collection Management staff ensure that access is seamlessly available to all FAU users. Acquisitions - Orders and receives materials for the electronic and print general collection. Also manages renewals and cancellations of subscribed resources and works closely with the Libraries' Business Manager in submitting invoice payments. 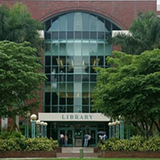 Cataloging - Provides bibliographic access to books, media, and selected electronic resources of the general collection. Collection Development - Selects resources in all formats to add to the general collection and reviews current holdings to identify gaps in the collection. Prepares accreditation reports and reviews for program and course proposals. Deselection (a.k.a. Weeding) - Reviews and identifies materials in the general print, media, and microform collections for withdrawal. Please see the Libraries' Weeding Guide for more information. Electronic Resources - Maintains and manages access to licensed e-resources such as databases and e-journals. Serials Management - Processes electronic and print serials such as journals, annuals, and book series. Also reconciles and reviews subscribed journal packages during renewal periods. For further information about Collection Management services, please contact Maris Hayashi (mhayashi@fau.edu), Head, Collection Management.